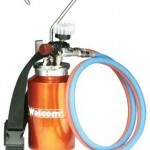 Walcom pressure pot/gun systems are factory matched so you get products that perform. 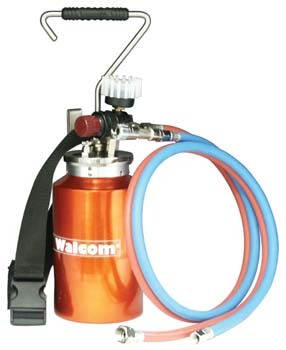 Team up any Walcom pressure feed gun with these pots or choose from our suggested systems. This Walcom 2 Liter Pressure Pot is simple, versatile, and eliminates the screw top that is typically found on similar pots. Very lightweight, it can be held in your free hand or over your shoulder with the included shoulder strap. The best combo we’ve found is with the very lightweight SLIM HTE gun.